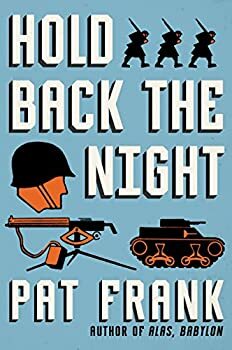 “Pat Frank” was the nickname of Harry Hart Frank (1908-1964), an American writer, newspaperman, and government consultant. He is best remembered for his post-apocalyptic novel Alas, Babylon. Frank spent many years as a journalist and information handler for several newspapers, agencies, and government bureaus. His fiction and nonfiction books, stories, and articles made good use of his years of experience observing government and military bureaucracy and its malfunctions, and the threat of nuclear proliferation and annihilation. After the success of Alas, Babylon, Frank concentrated on writing for magazines and journals, putting his beliefs and concerns to political use, and advising various government bodies. In 1960 he served as a member of the Democratic National Committee. In 1961, the year in which he received an American Heritage Foundation Award, he was consultant to the National Aeronautics and Space Council. From 1963 through 1964 the Department of Defense made use of Frank’s expertise and advice, and this consultancy turned out to be his last response to his country’s call. Click here for more stories by Pat Frank. 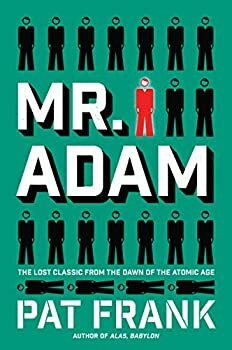 Pat Frank’s Mr. Adam (1946) is billed as “[o]ne of literature’s first responses to the atomic bomb,” and the uncertainty of the freshly-minted Atomic Age is palpable within the novel’s pages. With the bombings of Hiroshima and Nagasaki still fresh in his mind, and within the minds of his readers, Frank crafted a cautionary tale regarding the dangers of nuclear power and its invisible, unstoppable effects on the future of mankind. Foreign espionage and sabotage undermining the credibility of American armed forces. A counter-intelligence group mocked and silenced for its theories. Shadowy plans, decades in the making. The fate of the world caught in the balance between devastation and salvation. 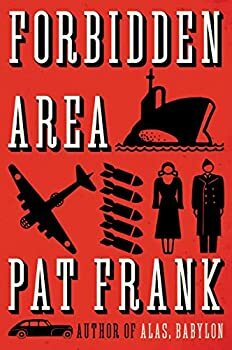 Pat Frank describes all of these in Forbidden Area, which was first published in 1956 and is still terrifying sixty-one years later.